Whatever you are doing right now, there is no way it can be as important as watching this incredible promotional video from Sizzler. 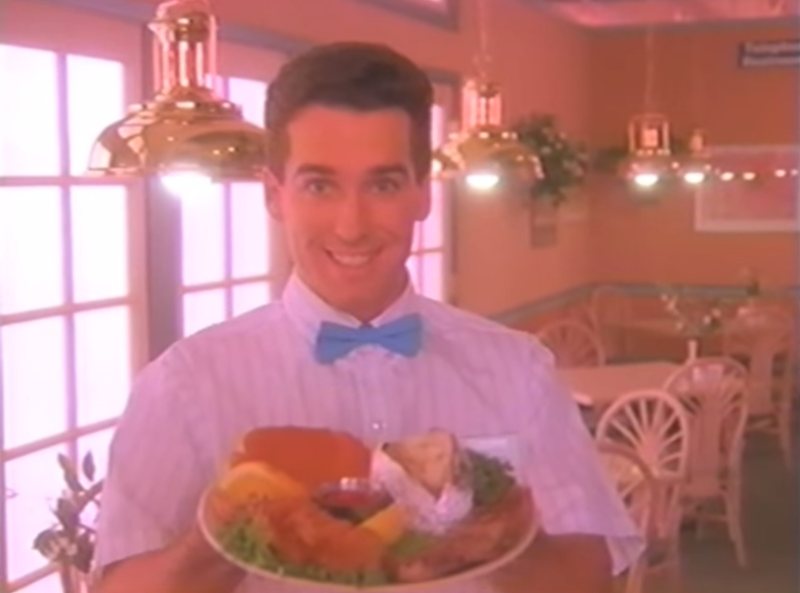 The steakhouse, which is — if you can believe it — still a thing in many, many states, released what can only be described as the world’s most horrifying yet tantalizing promotional video in 1991 to pimp its retinue of brass-trimmed sneeze guards and platters of sweaty, room-temperature fruit. I’m going to give you a second to enjoy the thing in its entirety, and then when you’re all done, meet me back here, because we need to talk. Personally, back in the ’90s, when I wanted my choice of barely warm Italian offerings and moist deli meats, I headed on over to Golden Corral, and when I wanted “steak,” it was Hoss’s Steak and Sea House or nothing, thank you very much. But I can tell you that if Sizzler advertised its offerings this way in 2015, I’d go in a heartbeat just to have an excuse to feather my bangs, throw on some taper-fit Jordaches and hit up the sundae bar. The video was released as a rebranding effort in the early ’90s, and it was proof that Sizzler got the modern family of the time. From the very opening scene, the video sets out to squeeze the most ‘murican part of your heart. As the sun rises on our great nation, a man is playing fetch with his dog, like you do at the very break of dawn. The narrator, who could probably be and maybe even is your dad, takes us back to a time when we all were in the midst of the “quiet revolution” of working ladies and latchkey kids. As a result, the entire nation of wholesome shrimp boat captains and baseball-playing preteens were “redefining what’s important in their lives.” And what was important? The basic American freedom to wear sweatbands and not be forced to choose either the seafood Newburg or the chicken-fried steak is what. If you answered anything else, well, that’s just un-American! There is so much to love about this video that it’s really impossible to pick just one thing. I am, of course, drawn to the direct correlation Sizzler makes between its dessert bar and the American Dream, and I could watch little vignettes of happy families shot through a gold-tinged, lens flare filter all day long, but Terrifying Overly Excited Ice Cream Lady is the true star of the show.